The steel chassis or frame. Two cells 10 x 20 with a 5" width slide in to this frame. This frame has the channel for a prefilter and a carbon filter. The cells and filters are not included. Painted as shown in our photos. The paint has a powder coat texture. 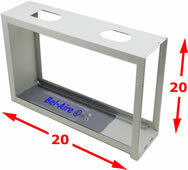 This chassis is also used with the Air Bear filter (255649-103). 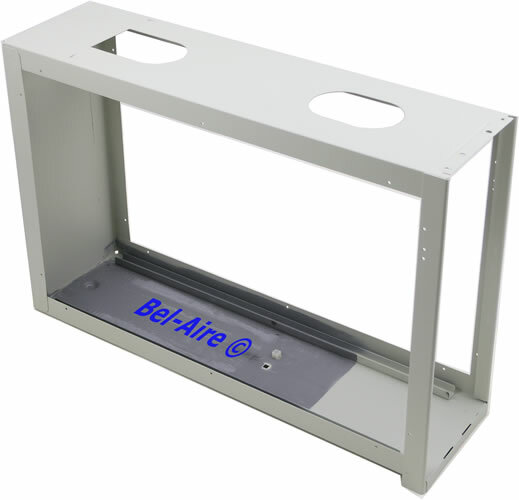 Unlike the Air Bear chassis, this HE chassis has the 2 openings for the power box contacts.